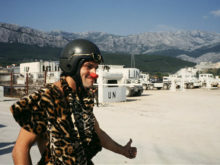 In October 1995, Clowns Without Borders Spain continued its action in Croatia, this time in Pula. 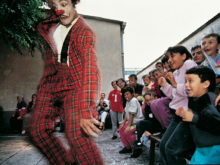 In 1995, Clowns Without Borders Spain continued its action in Croatia to support children suffering from the war in Ex-Yougoslavia. In March 1994, Clowns Without Borders Spain continued its action in Croatia to support children suffering from the war in Ex-Yougoslavia. In April 1994, Clowns Without Borders Spain continued its action in Croatia to support children suffering from the war in Ex-Yougoslavia.